Diring the surveys for the assessment of the community needs, conducted within the ROMACT program, the municipality of Boychinovtsi and the Community action group (CAG) found out that there is a big number of residents who have no health insurance and who need medical checks. This need was included in the updated Municipal action plan for Roma Integration (MAPRI). Recently, the municipality and the CAG members decided to cooperate and organize medical checks. They got in touch with young Roma who graduated from medical universities and who are now medical specialists: a young Roma doctor and two Roma nurses from Vladimirovo village. 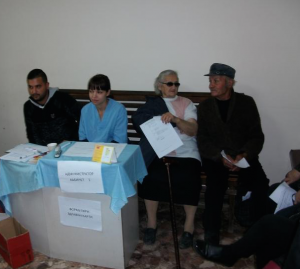 Together they all orgnanized information campaigns in the villages first and then the prophylactic examinations for Roma and non-Roma people without health insurances. 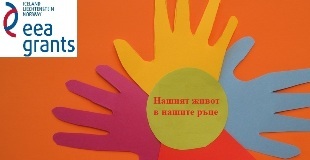 The initiative took place in the Health center in Lehchevo village. The health mediator and the expert on ethnic and integration issues from Lehchevo municipality, who are also members of CAG, actively participated in the organization and implementation of this event. Approximately 96 people with no health insurance were examined for 2 days on November 4 and 5, 2017. The prophylactic examinations included blood tests and radiological examinations. The people who benefited from these services appreciated that they had the opportunity for consulting with the medical specialists and for receiving guidance for their health. It is expected that totally around 200 people will be served within this initiative.